The Alcuin Society has announced the winners of its 36th annual competition, The Alcuin Society Awards for Excellence in Book Design in Canada, held Saturday March 17th, 2018. Awards will be presented this fall in both Toronto and Vancouver. The winning books will be entered in the international book design competition in Leipzig, Germany in February 2019. They will be exhibited in Germany at the Frankfurt and Leipzig Book Fairs; in Japan, at the Canadian Embassy in Tokyo, in conjunction with the Tokyo International Book Fair; and in almost every province of Canada. The venues are listed on the Alcuin web site here. This year’s judges, Sue Colberg, Shelley Gruendler, and Frank Viva, selected 38 winning titles from 235 submissions, from 10 provinces and 107 publishers. 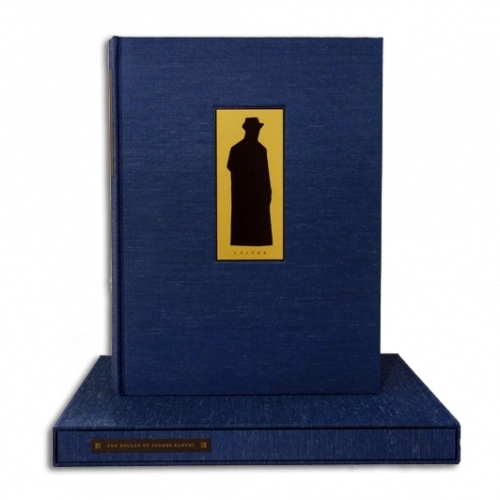 In the Limited Editions category of the Alcuin Society Book Design Awards, Michael Torosian, the designer of The Ballad of Soames Bantry, received First Prize honors. The book was co-published by Michael Torosian's Lumiere Press and Howard Greenberg Gallery.